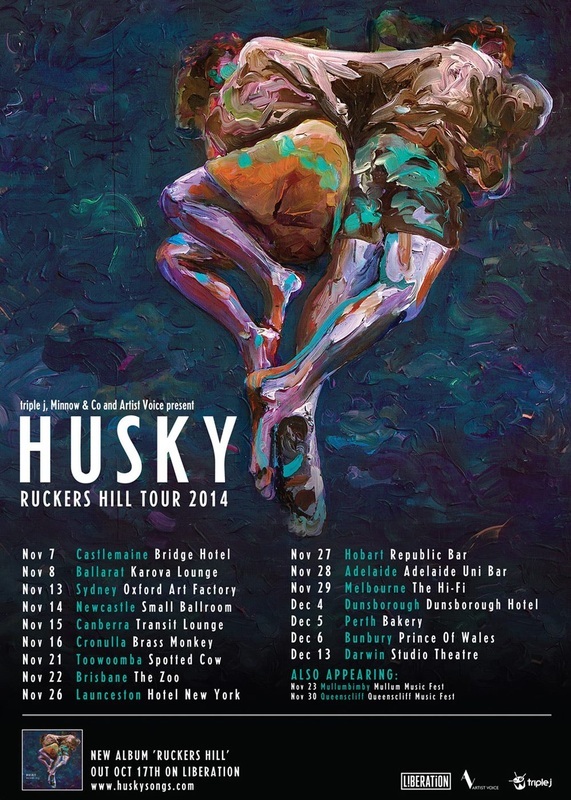 Over the past 18 months, Melbourne band Husky have been meticulously crafting their second album Ruckers Hill. The follow up to Forever So, an album which captivated both industry and public, and saw the band touring Australia, the US and Europe for almost two years straight, Ruckers Hill will be released on Friday 17th October. Fittingly, the band members will dust off their suitcases, pack up their instruments and take to the open road in November and December to mark the album’s release. The extensive tour will see Husky make their way to metro locations and regional centres nationally on a run encompassing 16 headline dates and two festival appearances. Written by Husky Gawenda in a small, moonlit room at the back of his house and bringing us 13 exquisite new songs, including the lead single I’m Not Coming Back, Ruckers Hill is a work of such immense and uncompromising beauty, it's hard to believe that this is only the band’s second full-length release. Driving folk songs nestle up against dreamy, more delicate numbers, with Gawenda’s evocative lyrics, the band’s masterful musicianship and gorgeous harmonies always at the fore. Ruckers Hill will be available for pre-order from this Fri 29th Aug.
Tickets for the tour are on-sale now. If the band’s recent single dates are anything to go by, they won’t last for long.